As we are a charity we rely on the generous support of funders and supporters for much of our work. That means that our programmes are often funded over a set amount of time. On this page you will find information about some of our past work. Between September 2016 and March 2017 we worked alongside South Yorkshire Housing Association (SYHA) to run music, dance and visual art workshops delivered by our artists and Yorkshire Artspace. Participants were referred to us through Doncaster’s Social Prescribing Scheme. This allows people to get non-medical support, such as companionship in attending activities and help in looking after their home. Moments of Joy helped energise participants and boosted their confidence, and we saw lots of new friendships develop over the course of the sessions. Find more information about Moments of Joy along with some lovely quotes and images here. Preparing to Fly was a project run by drama worker Layne and filmmaker Jim, funded by Right Up Our Street. Layne worked with participants who had a specific interest in film and drama from previous projects along with some Creative Directions participants who wanted to stretch themselves artistically. The group worked together to contribute ideas for a film themed around mental health and wellbeing. 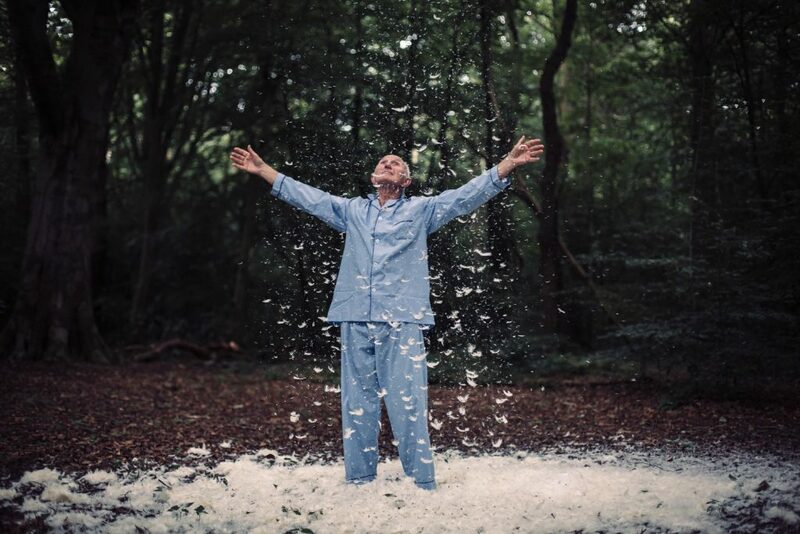 They drew specific inspiration from David Almond’s book ‘My Dad’s a Birdman’, and worked with visual artists Caroline Cullingford and Angie Hardwick to design and create props for the film. They filmed in various locations around Doncaster, including Sandal Beat Woods, Frenchgate Centre and Carr House Allotments. The film was shared at a special screening at The Point with participants, facilitators and people from the community. You can view the video below along with a selection of images taken during filming.